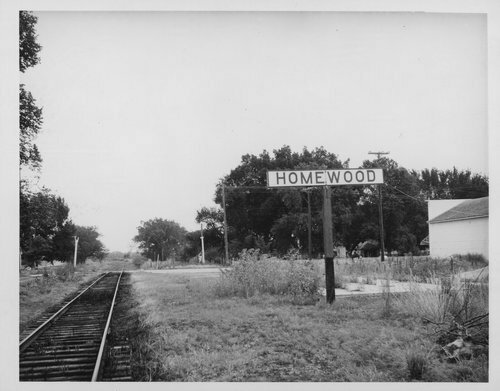 Railway sign for Homewood on the original Atchison, Topeka and Santa Fe line. This photograph was taken in 1959. The railroad is now the Eastern Lines, Eastern Division of the Burlington District.